All herbs have a purpose—whether it’s culinary or medicinal—but, it’s a particularly good sign when an herb is revered as the “queen of herbs” and is held as a holy plant worthy of worship. This plant, holy basil (tulsi), not only has medicinal benefits, but is also said to have spiritual benefits. What’s more, holy basil benefits can be experienced in an exciting way, as the herb can be grown in your home or on your patio – making it a great addition to your healing herb garden. Holy basil, or tulsi (Ocimum tenuiflorum) is a member of the mint family. It’s closely related to the sweet basil you add to Italian dishes and pesto, but the flavors are quite different. This plant is sometimes referred to as pepper basil as it’s clove-flavor is spicier than it’s sweet counterpart. The shrub can grow to about 30 to 60 cm high, has hairy stems and green (sometimes purple-tinged) small leaves. When allowed to flower, the blossoms are violet. It’s native to Eastern tropical regions and is especially widely known in India and Hindu countries where it is revered as a holy plant. In Hinduism, holy basil is worshiped as the incarnation of Lakshimi, the wife of Vishnu and one of that religion’s most important deities. It is called “The Incomparable One” and “Mother Medicine of Nature” among other things, and can be seen growing outside of Hindu temples. Not only found in temples, you will see tulsi being cultivated outside of most Indian homes and in courtyards. In worship, it will be placed on an altar and held in reverence during meditation and prayer. 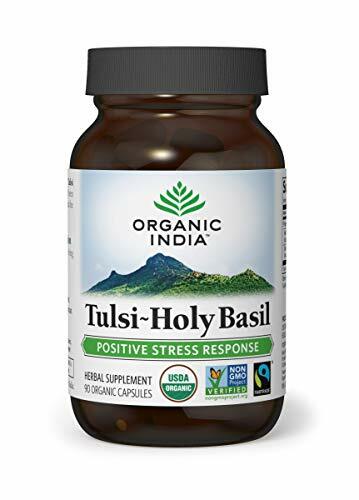 ORGANIC INDIA Tulsi - ... Buy New $17.94 (as of 07:55 EDT - Details) Though the herb has likely been growing in India the longest (an estimated 3,000 years), it was also prized by healers of ancient Greece and Rome and continues to be prized throughout the world as a plant that can heal the body, mind, and spirit. But all potential spiritual benefits aside, the herb undoubtedly brings numerous health benefits to the table. In Ayurvedic medicine, holy basil has been used for thousands of years. However, it is just in recent decades (and especially the past few years) begun gaining popularity in the West. The plant is said to be an adaptogen. Adaptogens essentially adapt to serve the body where it needs them most. 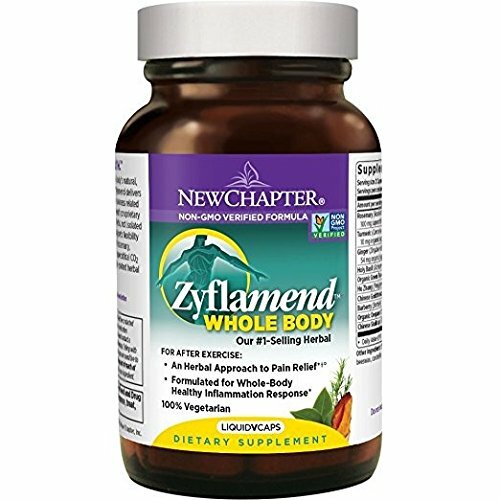 Typically, adaptogens New Chapter Zyflamend ... Buy New $48.09 (as of 03:05 EDT - Details) are characterized as stress-busters, and this is where we will find the majority of research on tulsi. While all scientific research on the plant has been done on lab animals and not reproduced in humans, case after case of anecdotal evidence and thousands of years of use can’t be wrong. These properties alone can account for many potential benefits including increased sense of well-being, increased immune function, and disease prevention.